They still exist those bands that unashamedly play and sing that overly optimistic modern folk tunes. The Oh Hellos is one of those bands. No newcomer to this blog, it returns with its seven song mini album called Eurus. Brother and sister Maggie and Tyler Heath sound happier than ever on Eurus. The fiddle drives the songs forward, the acoustic string instruments do the rest. The mix of Irish folk and U.S. stamina creates a mood that is as good a cure as any against all the gloom coming out of the U.S. in the past year and a little. So soothing, so soft and optimistic Eurus opens. The singing, dancing and playing (probably some drinking as well) together around the fire element is overwhelming on this record. At the same time a little Dropkick Murphies is let into the music giving the music a little kick in the backside to spruce things up a little. Just this hint of darkness, that comes mostly from a bass guitar and drums. The album does start so exuberant, it gathers pace and speed along the way. 'O Sleeper' starts in a dreamy way, like a brook in a forest before it goes out into the wide, open world. Slowly it winds its way into the world before it becomes a stream. Ever wider and wilder. The whole of Smetana's 'Moldau Symphony' in a few minutes. 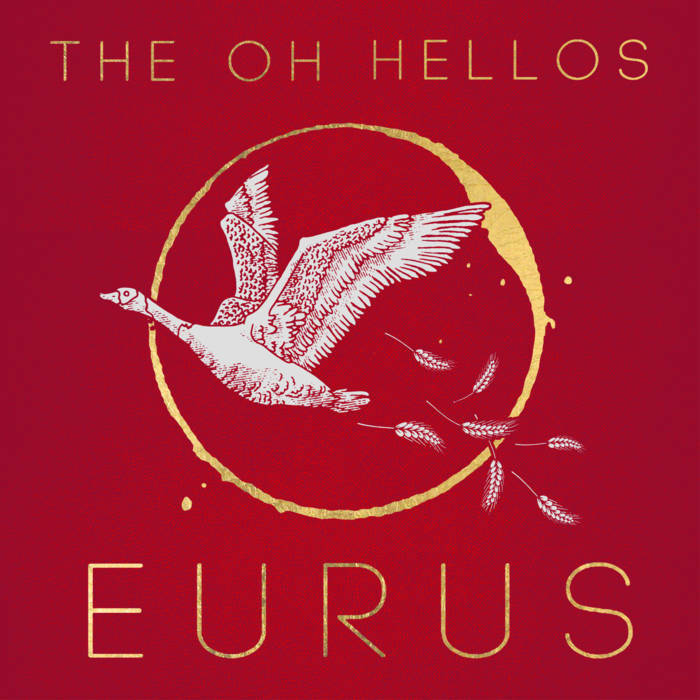 Towards the end of 'O Sleeper' The Oh Hellos takes us back to the beginning. The short instrumental song 'Dry Branches' takes us back into the forest and makes us look at that small brook again. Focusing on all the sounds, made by the birds, the furry little things scurrying beneath the branches and leaves on the forest's surface and the wind in the trees. The album starts getting into its own with 'Grow'. "Let the river run its course ... and let the wild take over". And I hadn't noticed this line when I wrote the above. The previous songs' imagery was enough for my mind's eye to summon it. The Heaths again slowly go all out in this song. It is so catchy in a way that it is impossible not be affected if not infected with the mood of the record. This eclectic song is the one reminding me most of the now almost ex-folk revival of 201x. 'Grow' is the kind of song that deserves being added to the roster. Especially as it moves into the more classic folk song, fiddle and banjo all around, 'Eurus'. The voices multiplied into a choir. Eurus is the Latin name of the Greek God of the Eastern wind Euros. In my country an eastern storm is a rare thing. (And then we had one today. Circa one week after writing these lines. Freezing cold for this country it was.) Eastern wind is either cold in winter or warm in summer. It comes from the east, from the continent. So it usually is everything this record is not, quiet and exceptional. The party just grows and grows as Eurus progresses towards its final three songs. 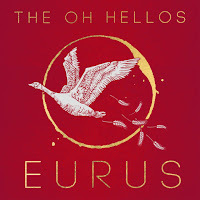 The fun of listening keeps pace with the party The Oh Hellos offers me. It not just about dancing though. There is so much determination and strength gathered in Eurus. It is as if The Oh Hellos is making one last stand. They are building a wall of some kind. The sound of Eurus is so big, so larger than life almost. And yes, dancing is allowed. Wild, with full abandon, as if nothing can break. Looking at the band's Bandcamp site I notice I have missed an album, another 7 song one, called 'Notos'. The south wind. This implicates we have two more albums to go, Zephyros and Boreas. All to be combined in a box set called Anemoi in 2020. If they are much fun as Eurus is, let me sign up here.